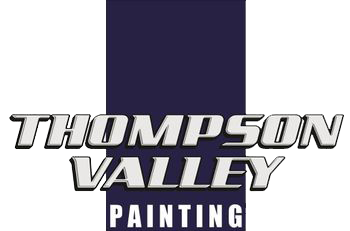 Thompson Valley Painting guarantees professional painters, servicing the Kamloops area located in British Columbia. Our goals include careful attention in our prep work, combining quality products with an aesthetically pleasing finish, ensuring a clean work area and overall excellence and customer satisfaction. We understand that each individual job is unique in its goals, environment and requirements. Whether a job must withstand a harsh environment or comply with strict impurity/safety regulations in a sensitive environment, our team of professional painters in Kamloops have the experience and qualifications to go above and beyond in individual project requirements while following professional and industry standards. Our services include quality painting as well as restoration services for your business or home. We offer both interior and exterior services, specializing in both residential homes as well as commercial spaces. Our painters have the experience to overhaul your interior and exteriors to give them the property value boost that quality painting will get you. Our service and standard of painting sets us apart from other painting contractors. Working in interior, exterior, business and industrial spaces, our highly customizable painting services will work with you to ensure your next painting project is realized. Serving the Kamloops and surrounding area including: Williams Lake, Vernon, Kelowna, Merritt, Ashcroft, Lillooet and more! We use only the best products available - Benjamin Moore and General Paint. The products and coatings are designed to withstand the harshest of elements, ensuring long run satisfaction. Along with exterior painting, we offer interior painting and wall coverings - vinyl and paper hanging. By using products of the highest quality, we ensure our clients get the best quality painting service that will last them through years to come. Whatever your project is, our professional painters utilize industry standard quality products. We pride ourselves on our service from start to finish of your project. Additionally, our experience in both exterior and interior painting in residential and commercial spaces is highly reflected through our quality of work. Quality painting service is an investment, and we will ensure that your business or home is reaping the benefits of this investment! Our commitment begins with thorough prep work and the quality of our painting services is due to our careful attention to detail combined with detailed follow through with our preparation work. Services include sandblasting, pressure washing, caulking and sanding, and full area wash. Ensuring our prep work is completed correctly can determine the difference between a mediocre painting service versus superior service- and we always strive for superior service! Ask us about our painting process - or simply get a free quote today! We offer a highly customizable service which includes not only a range of products but a vast knowledge of appropriate surface finishes to be used for every situation. This includes knowledgeable explanations and recommendations for all surface areas- from wood, masonry, steel, and stucco to drywall. With options for exterior and interior projects, our vendors will provide a whole array of color options for any of your projects.